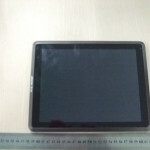 After revealing the images for the 9G3, good guys from FCC have also revealed images for the Arnova 7 G3. 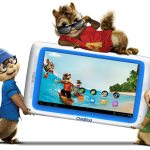 Contrary to the 9 G3, there is now also an user manual available which tells us more about the device specifications. Based on earlier leaks and the pdf file, we were able to make a table with device’s specifications. 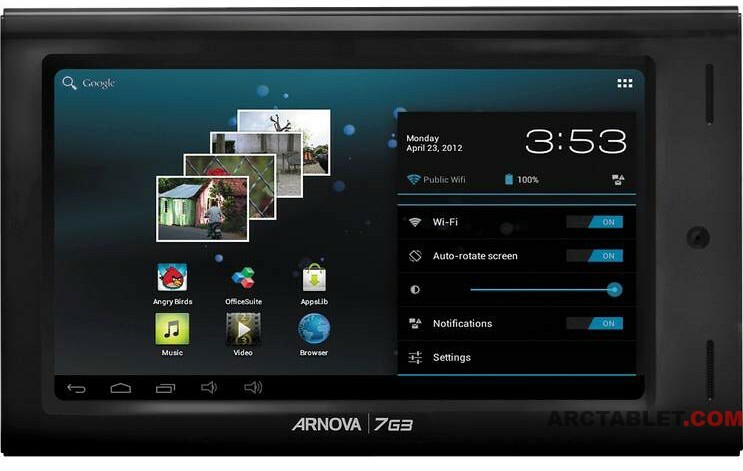 The Arnova 7 G3 is so far the only model from the Arnova G3 line-up to run on an Allwinner A10 CPU and 512MB of RAM. 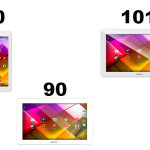 We compared a simillar tablet from mpman also running Allwinner A10 CPU with Arnova G2 tablets running Rockchip RK2918 CPU, you can find the benchmark results here. When clocked at 1.2 GHz the Boxchip/Allwinner CPU really surpasses the RK2918(clocked at 1Ghz) with over a 50% increase on the Total Index on Quadrant benchmark. Another remarkable thing is the fact that the unit that passed the FCC, was white, while all until now sort of leaked images(the Arnova 7 G3 is not yet officially announced), showed a black unit. 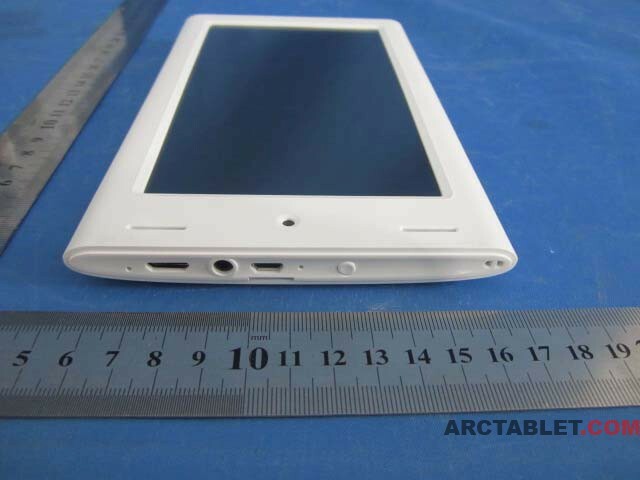 We don’t know for now whether it is only a pre-production prototype(all the Arnova text branding is not there) or that there will really be a white Arnova 7 G3 selling. From the external photos, we come to know that the 7 G3 is equipped with two speakers on the right, a webcam, mini-HDMI port, headphone jack, microSD slot and a micro-USB port which is also used for charging. 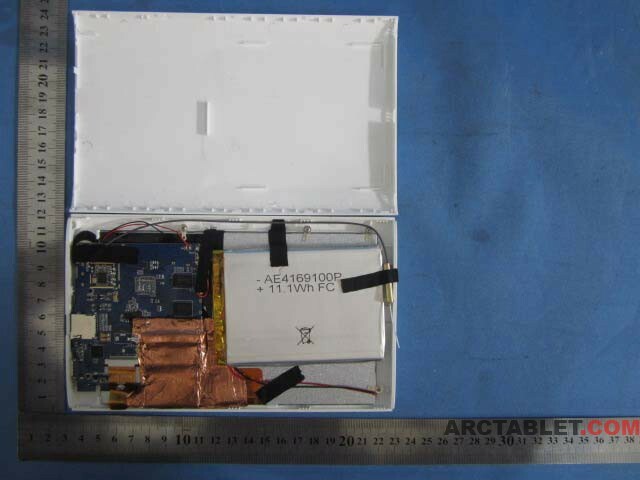 Inside the relatively thick 13mm body, there is an 11.1 Wh(3000 mAh @ 3.7V) battery. 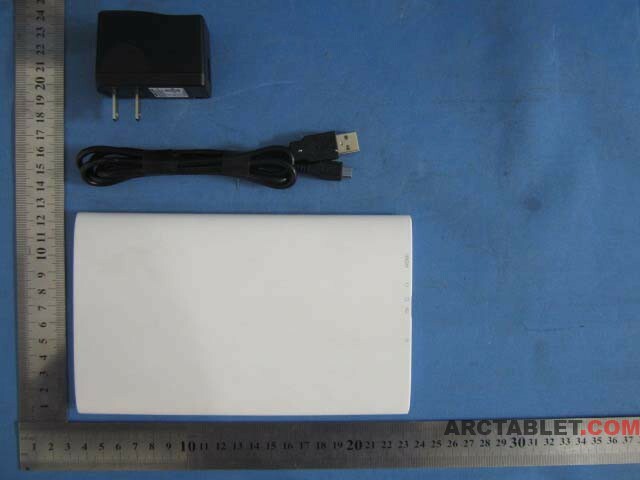 For your reference, that is less than is placed in the Arnova 7b G2 which contains an 15.91 Wh battery. 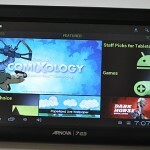 We find the Arnova 7 G3 to offer good “value for money” and it should be quite competitive when priced at around 99-129EUR. hey~ it’s a Hyundai A7 ! !